Direct-to-customer sales model delivers a killer specification for the price. There’s every chance that this is the first time you’ve heard of Radon. If you’ve ever spent any time shopping online to find the best deals on components however, you’ve probably come across its parent company, German retail giant bike-discount.de. As with all direct sales brands, the 160mm travel, full-carbon framed Radon Slide Carbon 9.0 represents incredible value for money. And, even if the price tag hints at mid-range, the frame quality on the Slide Carbon 9.0 wouldn’t look out of place on any of the major manufacturers’ top-tier carbon models. The parts package is equally impressive and there aren’t many 160mm bikes, let alone full carbon ones, that can match the Slide part for part at this price point. One downside of the sales direct approach is that you can’t test ride a Radon for size. So it’s worth knowing that they measure up short and so even though I’m only 5ft 9in, the 20in bike still felt lacking in length. I rode the Slide in the UK and Garda, Italy, and whether I was pedalling up monster climbs our cutting across undulating moorland trails it presented a stiff, precise ride with a real sense of urgency. And if I were to categorise this bike, I’d be inclined to say that it’s more of a long-legged trail bike than true all-mountain masher. Obviously, it’s very subjective, but the Slide rides with an efficiency and agility that belies the 160mm of travel. In fact, the amount of suspension is more of a ‘get-out-of-jail-free’ card that can be played once or twice on a ride, rather than defining the bike. It not perfect though, and when hammering down the roughest trails the steepish steering geometry and longish 70mm stem make the Slide felt less optimised towards pure DH performance. 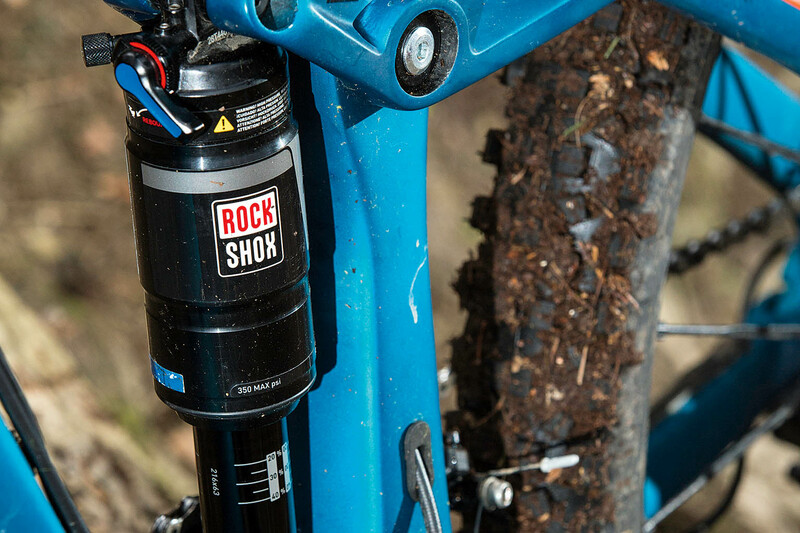 A slightly slacker head angle and much longer wheelbase would definitely boost stability for blasting across rocks gardens and bombing down the steepest trails. Extra length in the frame would also bring the sizing of the Radon in line with other bikes in this category. I’d also prefer it if the rear suspension, with its Debonair-clad Monarch shock, was more sensitive to roots and rocks and a little less focused on pure pedalling efficiency. Still, there’s no denying that the Radon Slide Carbon 9.0 is killer value, and at 28.2lb it’s a great option as a 160mm travel trail bike. 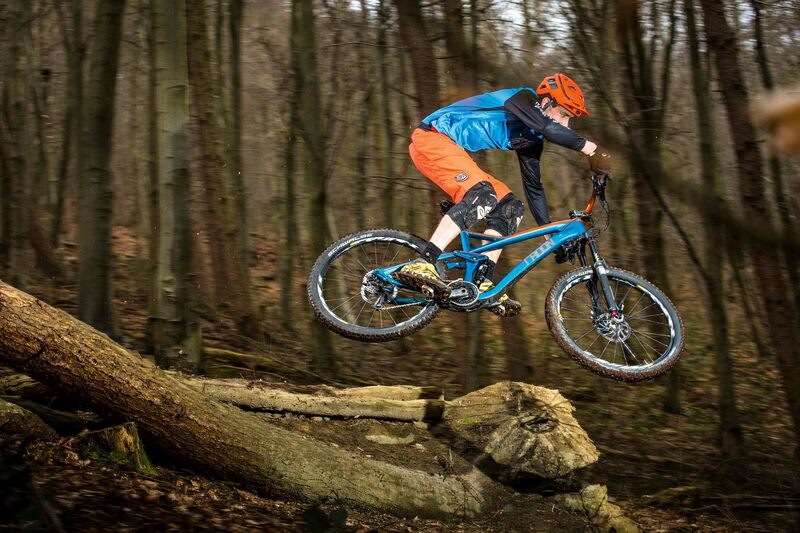 If, however, the bulk of your riding involves launching your bike off jumps and drops, and racing down steep trails at breakneck speed there are definitely more capable 160mm travel bikes on the market.